Any of you golfers reading this, you should be listening to Dr. K.
Now, I don't know any golfers who wouldn't like to hit the ball farther, hit the ball straighter, or both. Unfortunately, most golfers think if they could afford that new, fancy (read expensive) set of clubs, that would be the solution. Well, for about 97% of you golfers, your clubs aren't the problem. It's your mechanics, posture, and core strength, or lack thereof. Fixing those issues will improve your game more than even the best set of clubs on the planet will. "I've never felt better and plan to continue working out every day." After 55 years of playing golf, on June 16, 2006, I got my first hole-in-one! I attribute my good fortune to Kareem Samhouri of Global Fitness, LLC. It was Kareem that helped me take control of my health and he helped me stretch and strengthen all of my muscles, especially the muscles needed for the game of golf. He also helped me to develop exercises to increase my balance, especially as needed in a golf swing. The hole-in-one came after 8 weeks of working with Kareem. I also eagled a par 4 in August and missed another hole-in-one by less than 1/4 of an inch in July. But the real impact of my workouts with Kareem is the improvement in the status of my overall health. I've never felt better and plan to continue working out every day." RECOVERING FROM A SHOULDER INJURY - WORRIED IT WILL HAPPEN AGAIN? LET ME TEACH YOU EXACTLY HOW TO GET BACK INTO GOLF THE SAFE WAY. I'LL SHOW YOU HOW FAR TO SWING THE CLUB, WHICH CLUBS TO USE, AND EACH STAGE OF GOLF REINTEGRATION FOLLOWING YOUR SHOULDER INJURY. ...AND, FOR A LIMITED TIME, YOU CAN TRY THIS SYSTEM FOR FREE. Dr. Kareem Samhouri (affectionately known as "Dr. K" by his clients and patients) has developed a process of sports reintegration following shoulder injury that provides results every time. 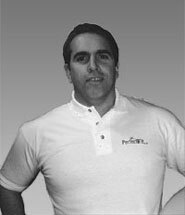 Through the use of advanced physical therapy techniques and world-class fitness knowledge he can help you get back to golf the safe way, drive the ball further, chip with more accuracy, and feel better than ever. Your friends will be ridden with jealousy.... but, don't worry, by the time you're done, you'll be able to teach them too. Muscle imbalances often lead to shoulder injuries, and almost always follow shoulder injuries. The reason for this is that our bodies adapt movement schemes to protect injured areas, and our brains become trained to believe our shoulders belong in different positions than normal. Re-learning biomechanical alignment (position), length (flexibility), and tension (strength) is vital to success with sport and reduced chance of re-injury. Club choice and swing distance. Golf swing theory suggests that recoil and momentum are critical factors in determining ball flight distance and accuracy. As soon as we substitute 'cheating motions' and change swing mechanics, the golf swing becomes less predictable. 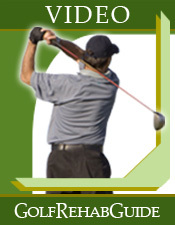 Carefully introduction of the golf swing to your body following shoulder injury is crucial to your success as a golfer. Choosing the right clubs at the right times, as well as swing distance, will ultimately affect the outcome of your golf swing for years to come." There is a solution. This solution is called the "Golf Rehab Guide." 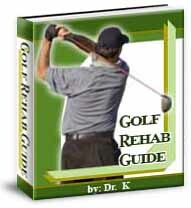 Golf Swing & Golf Fitness E-book: "Golf Rehab Guide"
You will receive the first 30 days absolutely free. In fact, if you decide to stay on, you won't even be billed for the second month until the END of the month. Don't worry, you can still have access to Lift Hard Play Hard for your 30 days, even if you don't decide to keep The Golf Rehab Guide - That's how dead-set I am on making sure you're satisfied with your investment, and successful in reaching your goals. Most importantly, Golf Rehab Guide will help ensure you're always improving, instead of making up for lost time! If you decide not to keep Golf Rehab Guide, just send it back and you won't be billed a penny. 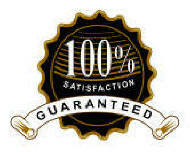 Your purchase is 100% protected. In fact, you won't even need a refund if you decide the program is not for you. Dr. K will not charge you a penny until you know you are completely satisfied. After 30 days your credit card will be charged a final payment of $47.